Global fall protection specialist 3M has introduced a new range of self retracting lifelines designed specifically for hot work applications. Axalta Coating Systems has launched a new website to provide easy access to company and product information for its customers in Australia and New Zealand. Melbourne based interior and exterior design showroom World of Style simplifies decision-making for customers through an immersive experience. StoneSet Permeable Paving completed the installation of a driveway in a Sydney home by overlaying concrete with its resin bound paving. Royal Wolf designed and delivered a unique two-storey workshop facility made using shipping containers for BGC Contracting’s Whyalla-based mine site. The City of Sydney local government area is ushering in Christmas this year with a six-week campaign to cover the CBD and surrounds in festive spirit. Energy experts in Australia believe that the country is squandering away the sunshine it receives each year due to lack of adequate infrastructure. Magnetic Automation Pty Ltd supplied five IP65 rated turnstiles to an international company for their mining site. Portable Partitions Australia was recently approached by a Melbourne homeowner to provide a noise-absorbing partition solution for their garage. The vibrant colours of Mexico are the inspiration behind a new range of bricks developed in collaboration between Austral and one of Australia’s leading fashion designers. With the influx of dodgy building products in Australia, an action strategy is being developed with industry organisations like the HIA. 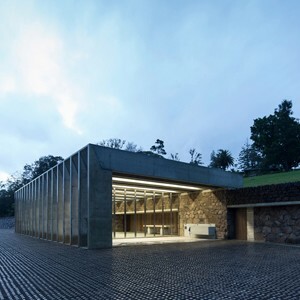 Lune de Sang Sheds receives one of three runners-up prizes at the 2014 Architecture Review (AR) Awards for Emerging Architecture.